Kids (and kids at heart) love to build things. For this reason, I was drawn to check out the line of sustainable construction kits from YOXO. 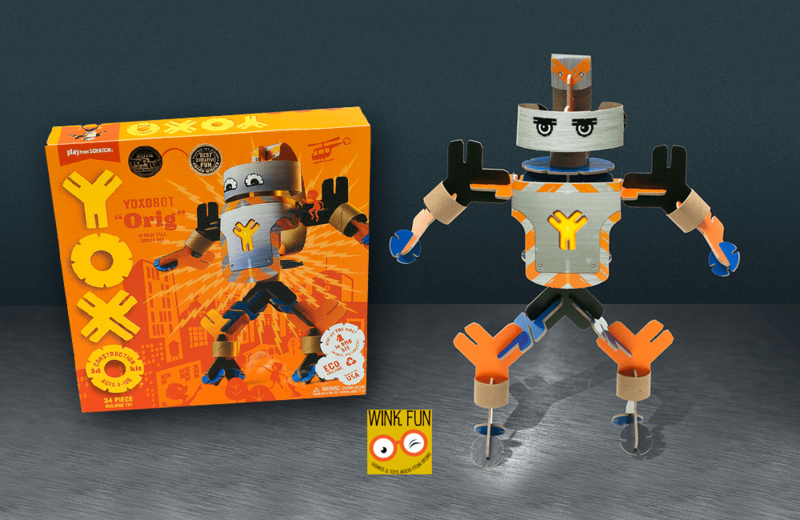 Many toy companies talk about minimizing their environmental footprint, but YOXO is walking the walk. All of the company’s construction kits are made from recycled and recyclable wood pulp, and YOXO uses state-of-the-art water-based cutters in its wind-powered workshop, located in Saint Paul, Minnesota. Can a construction kit made of recycled wood pulp engage and entertain? Read my review on Wink Fun to find out.